LAS VEGAS — When we think of a car, the obvious image has always been one with four wheels attached to the vehicle’s body. However, South Korea’s Hyundai Motor has pushed the boundaries of this definition with its “walking car” concept Elevate, which was unveiled on the sidelines of the 2019 Consumer Electronics Show in Las Vegas on Monday. 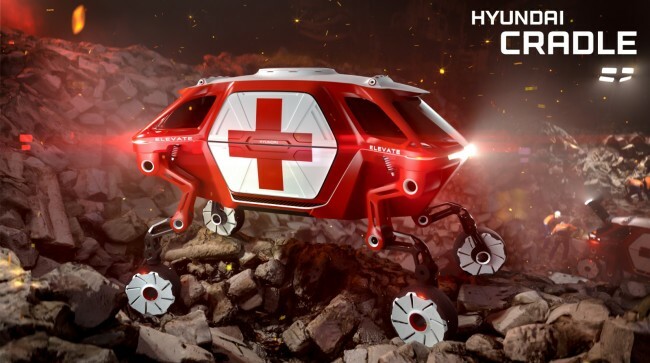 Elevate is Hyundai’s first-ever vehicle with four moveable legs that give the car an insect-like look. It combines the technology found in electric cars and robots, allowing it to travel across difficult terrain, debris, stairs and places typical off-road vehicles can’t reach. Where could this sort of technology be useful? 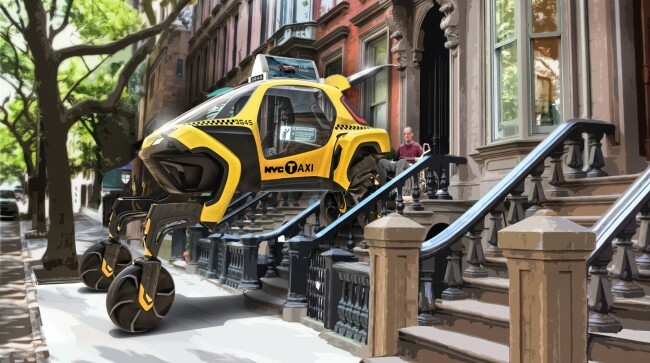 Rescue operations at disaster sites, and increasing mobility for disabled citizens are some of the potential real-life applications, according to John Suh, vice president and head of Hyundai’s Center for Robot-Augmented Design in Living Experiences. “When a tsunami or earthquake hits, current rescue vehicles can only deliver first responders to the edge of the debris field. They have to go the rest of the way by foot. Elevate can drive to the scene and climb right over flood debris or crumbled concrete,” Suh said. Hyundai built Elevate in partnership with Sundberg-Ferar, a Detroit-based design studio. In addition to unveiling its latest concept car, Hyundai also presented its future mobility road map at CES 2019. The automaker’s vision revolves around three areas: open innovation, personalized electric vehicles and global leadership in connected cars. In terms of global targets, Hyundai’s goal is to have 10 million active connectivity users globally and to apply connected car technologies to all of its vehicle segments in the global market by early 2022. “Hyundai not only strives to become the No. 1 provider of connected cars globally, but to also provide connected car services that surpass the current range of services through an open platform, paving the way to embody our concept of ‘transcend connectivity,’” said Suh Jung-sik, senior vice president of Hyundai Motor’s ICT Division.